Sweat dripped into my eyes as we made the short, but intensely hot walk through Koko Crater Botanical Garden. 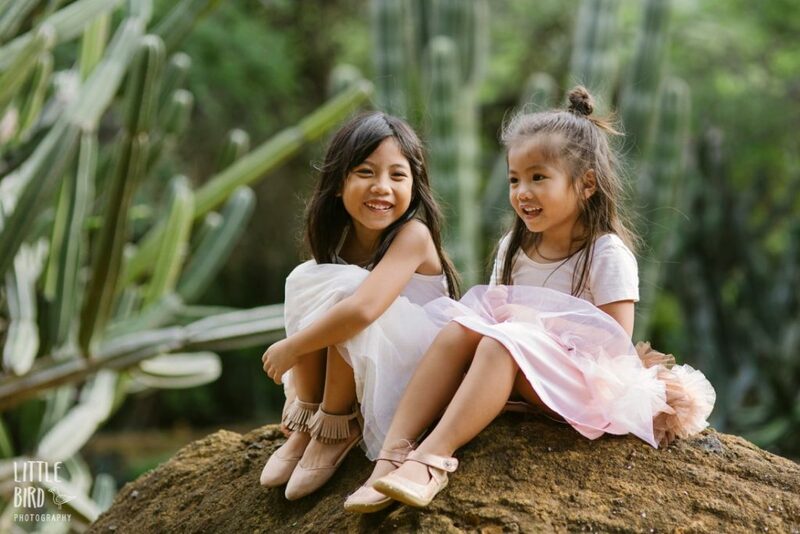 Our destination was the cactus garden where the spiny succulents would contrast beautifully with the soft pastel clothing and cherubic cheeks of one of my favorite families. 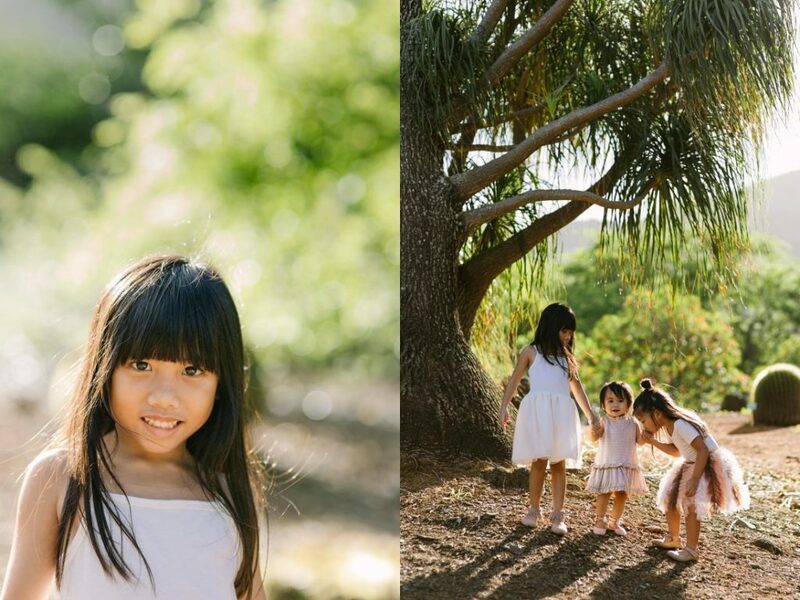 I first had the opportunity to photograph them against the graffitied walls and urban decay of Kakaako. The bright colors and fun vibe still make me smile. Today, we planned something entirely different. We traded the city scene for a bit of nature. Maybe too much nature it seemed as kids and gear were pushed and dragged over the rutted path. It would have worked out smoothly if the unrelenting summer heat hadn’t followed us well into fall, but the heat made us feel heavy and slow. We’ve had enough summer for a bit thank you very much. Despite the heat, everyone was in good spirits. Well, let me adjust that. They were in good spirits, just not at the same time. There’s something about three kids during a photography session. You can get two happy and engaged, but the third will most likely be off in their own world or making faces at a sibling. But they’re like slippery eels. If you get that one on board, you lose another. It feels like some sort of practical joke and you can’t help but laugh. As the sun began to drop behind the crater walls, we made our way out of the gardens. It was an evening of laughter and hugs mixed with complaints and tears and that feels just right. What Does Your Family Adventure Look Like? 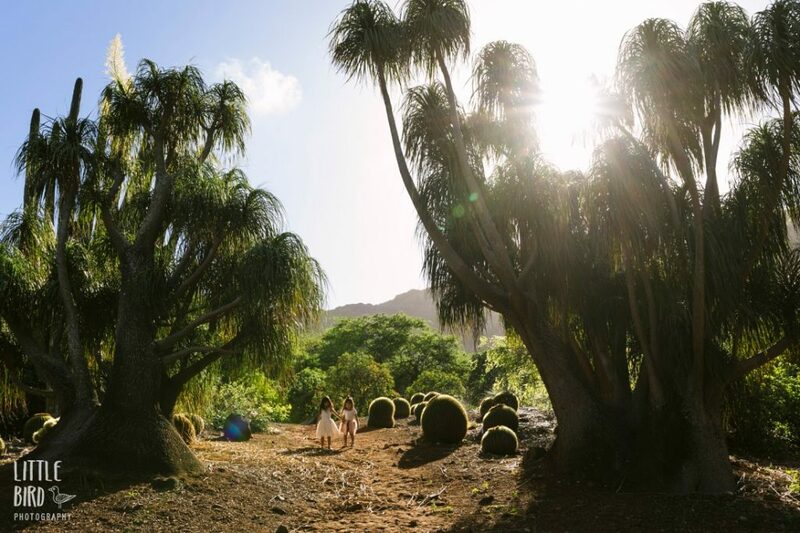 Let’s plan a fun day exploring the island and making memories. 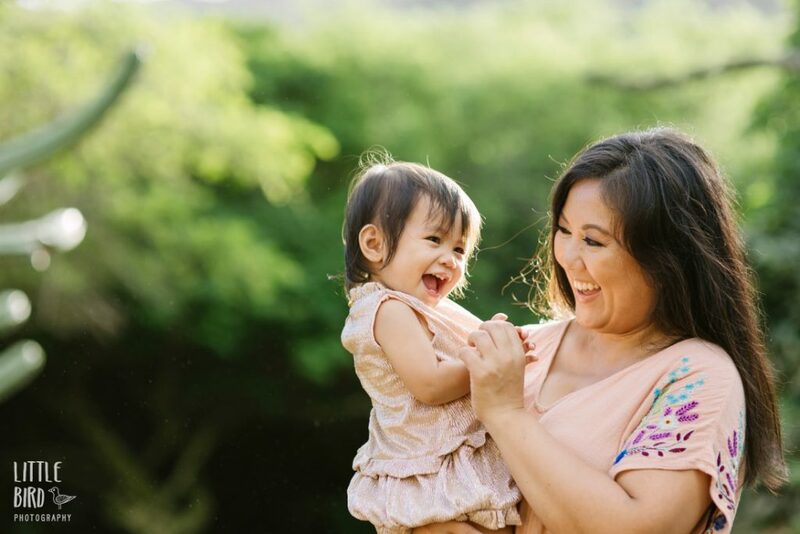 You can find out more about my fun family photo sessions here.